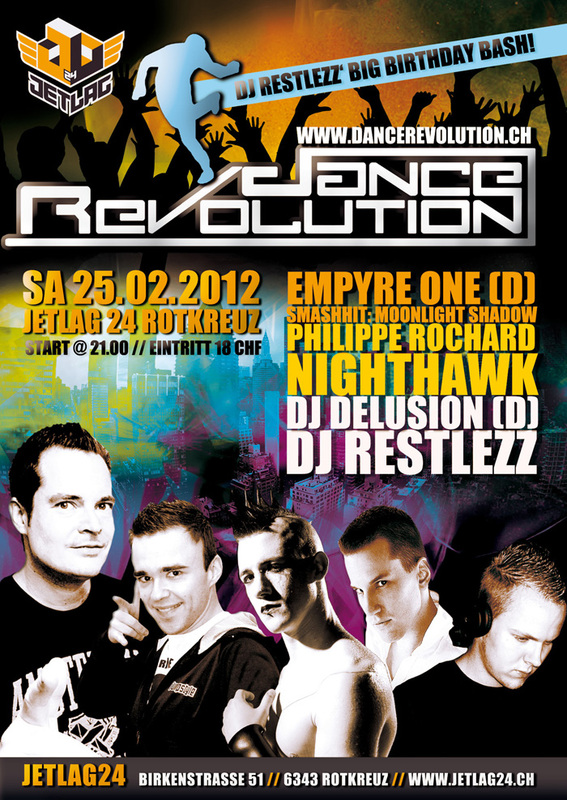 Event Details Alle Informationen zum Event Dance Revolution - DJ Restlezz Birthday Bash. Der DR No. 1 Hands Up Act! Remixes: CU 2 Nite, Bring Me To Life, Mirrors, Lonely, Jeanny 2011, Get On The Floor, Call Me, Schwerelos, Lost Without You, Someday, Punkrocker 2.1, uvm. SONIC, OXA, Energy, Nighthawk Night uvm. 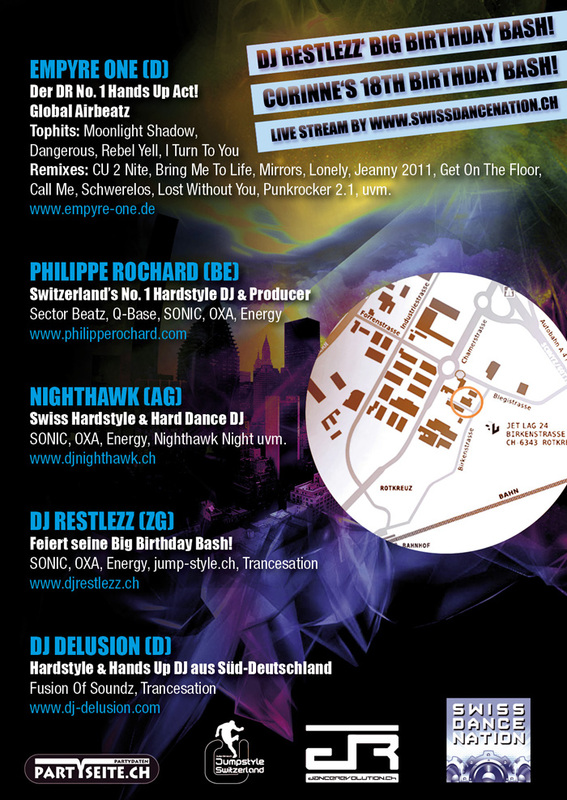 Feiert seine Big Birthday Bash!